Sorry MV Andaman Tritan is no longer sailing/ not running trips. 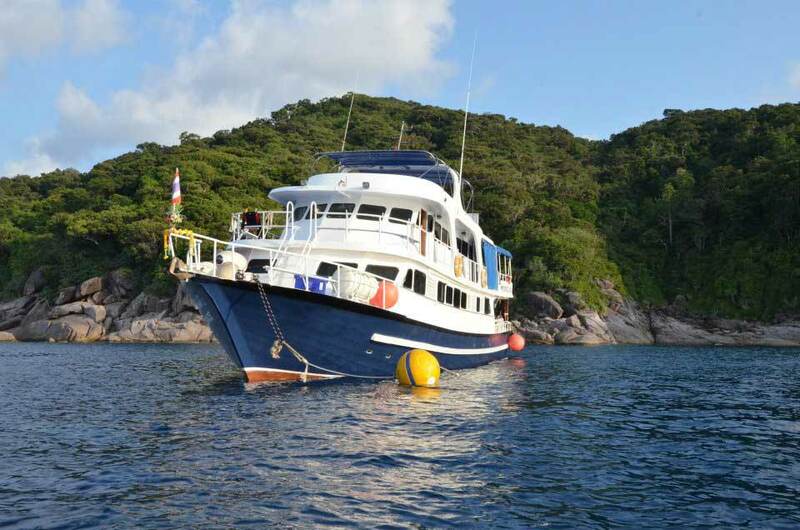 Andaman Tritan is a popular liveaboard boat that offers Indonesia liveaboard diving trips to The Anambas Islands, which almost no other liveaboards visit. This area is technically in Indonesia, but the trips actually depart from Singapore and sail north into the strait between Malaysia's peninsular area and Borneo. Up to 23 lucky guests can join diving cruises to Indonesia's Amambas Islands on Andaman Tritan, and those who do are able to choose from a selection of four cabin types. 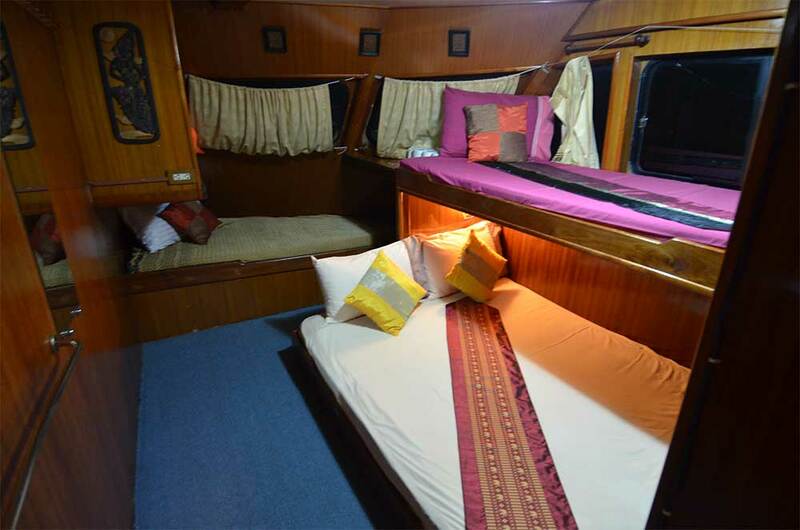 In addition to the master cabins, there are deluxe cabins twin beds, as well as standard cabins with twin beds on the upper deck and single-bunk cabins on the lower deck. All are air-conditioned. 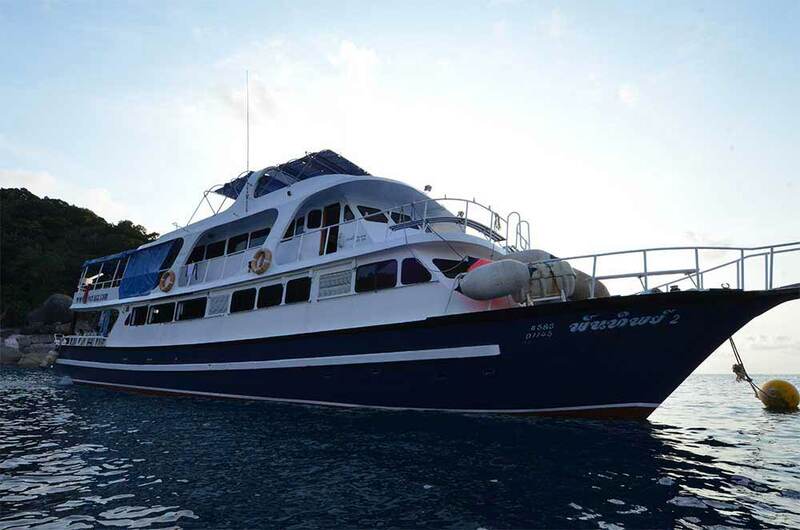 Like most liveaboard diving boats in Indonesia, there is an area on the uppermost deck for sunbathing and enjoying the star-filled night skies. The upper main deck is where to find the air-conditioned saloon and sheltered outdoor dining area. 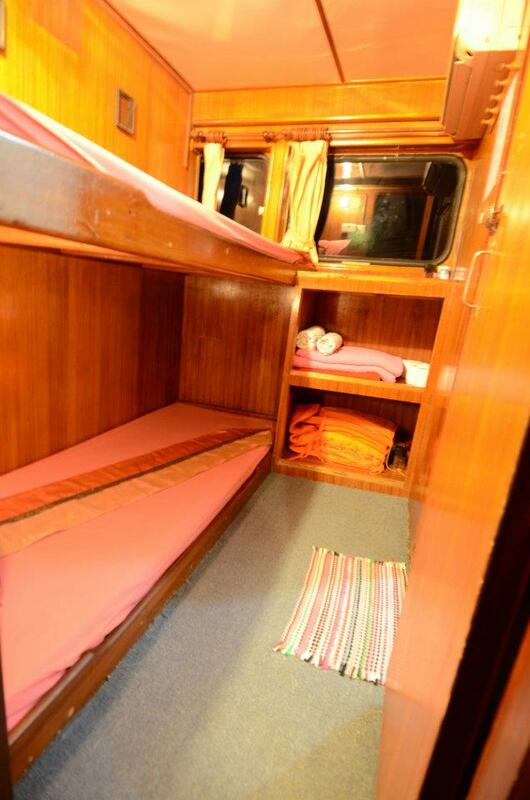 At the front of this upper deck are also two standard twin bed cabins. 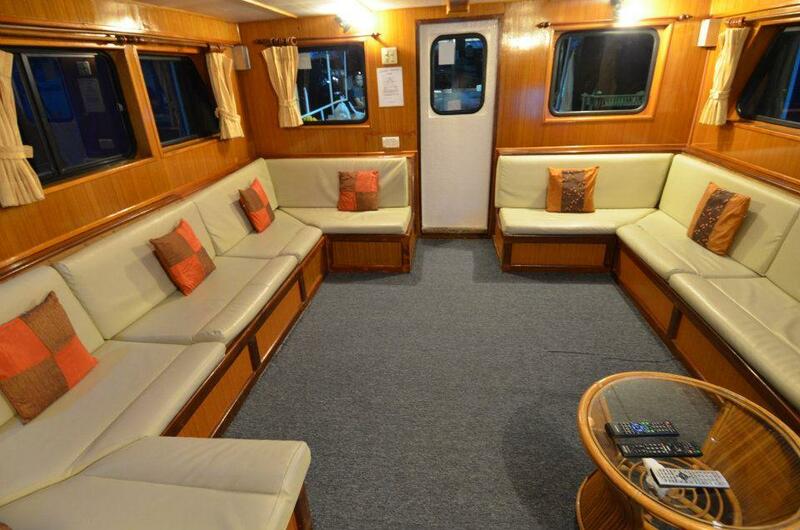 The main deck of Andaman Tritan is where most of the accommodation is. 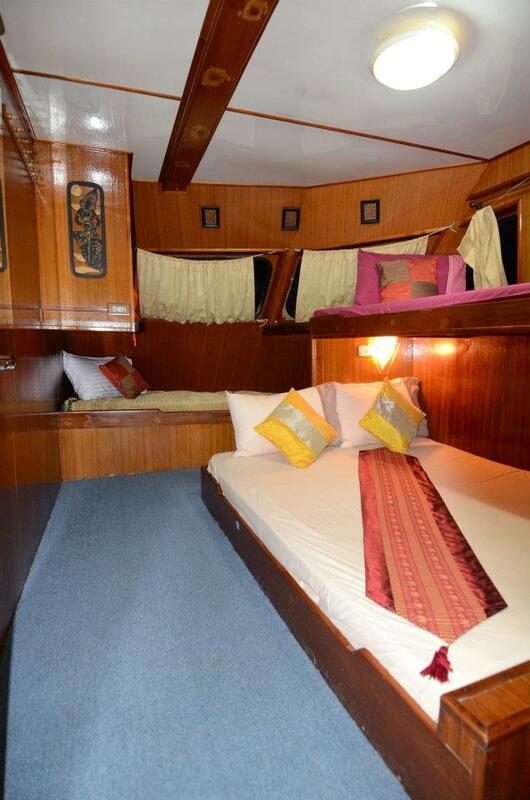 There are three master cabins, two of which have a double bed & two singles. The third has a double bed & one single. There are also two twin deluxe cabins on this deck. 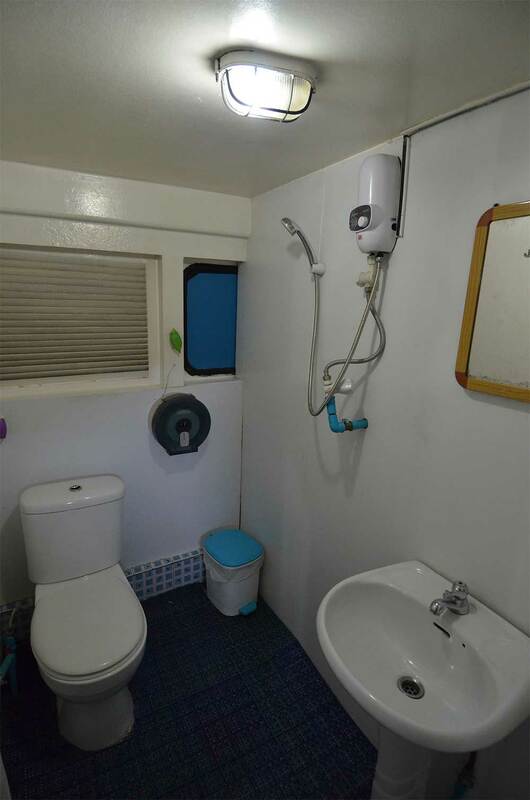 All cabins on the main deck have en suite bathrooms. Also on this main deck is the kitchen, the diving platform and the communal bathrooms. 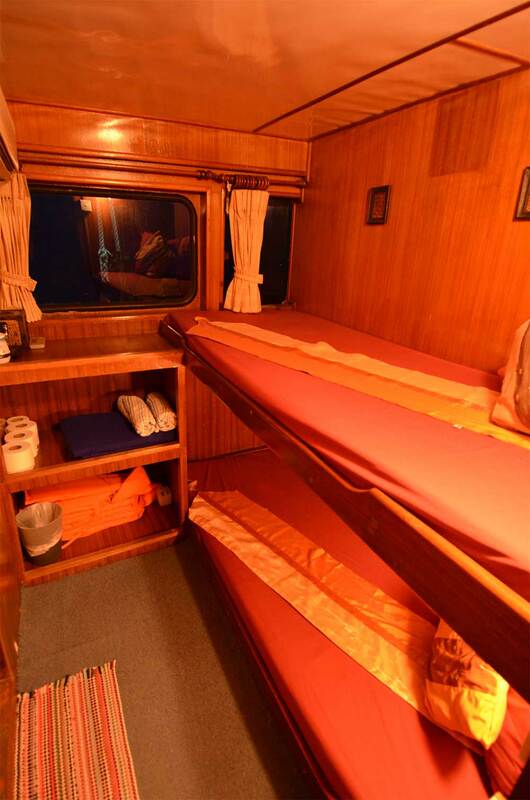 In the lower deck are the budget cabins, which have single beds. Guests are treated to great food throughout the cruise and taken good care of by the experienced and friendly crew and team of diving staff. There are areas all around the boat to chill alone or with others, which include sunbathing, reading, enjoying photos or videos of the diving, or just enjoying the wonderful scenery. Nearly all of Andaman Tritan's Indonesia liveaboard diving itineraries are 2 days and 2 nights, departing from and returning to Singapore. Details below. For any other trips that are on the schedule, please contact us for more information. Navigation. Radio / Communication System, GPS, Furuno Radar, Depth Sounder, Auto Pilot And AIS Transporter. Safety. Medical Oxygen, First Aid Kit, 2 X Life Raft (total Capacity - 40 Pax) EPIRD And 4.2 Tender With 40hp Outbooard Motor. Capacity. 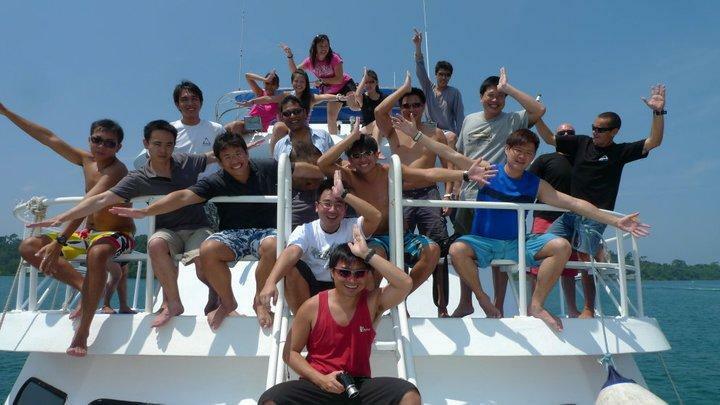 23 Customers (max), 7 Boat Crew, 4 Dive Crew. Cabins. 10 Cabins (5 En Suite). Diving courses are available on board Andaman Tritan, but please contact us in advance to check availability, latest rates and details. Andaman Tritan guests need to arrive at Tanah Merah Ferry Terminal before 6pm on departure day. Prices are ‘per diver’ and include all meals and snacks on board, as well as drinking water, tea, coffee & hot chocolate. Soft & alcoholic drinks are available at a small extra fee. Non-diving guests on Andaman Tritan receive a 10% discount on the trip price. 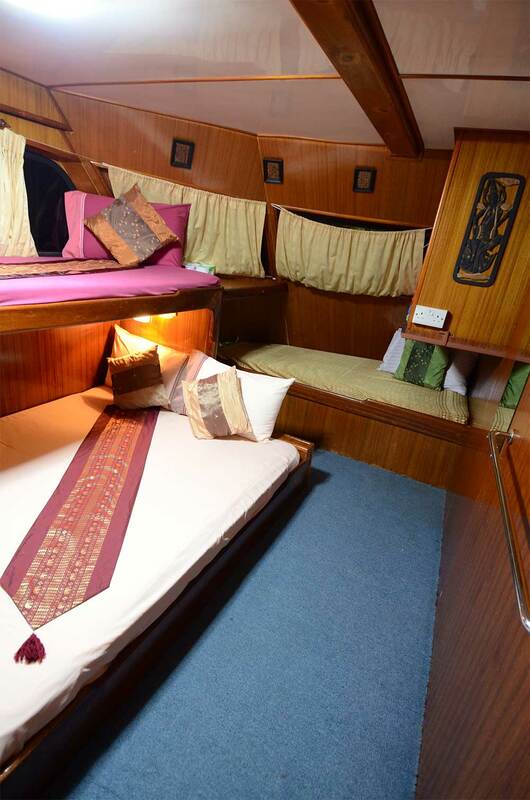 It is also possible to book for three guests in each master cabin, thus receiving 10% discount. Port fees are not included and must be paid in cash upon arrival. Diving equipment (if required) is available at a ‘full set’ charge or individually. Please contact us for details. 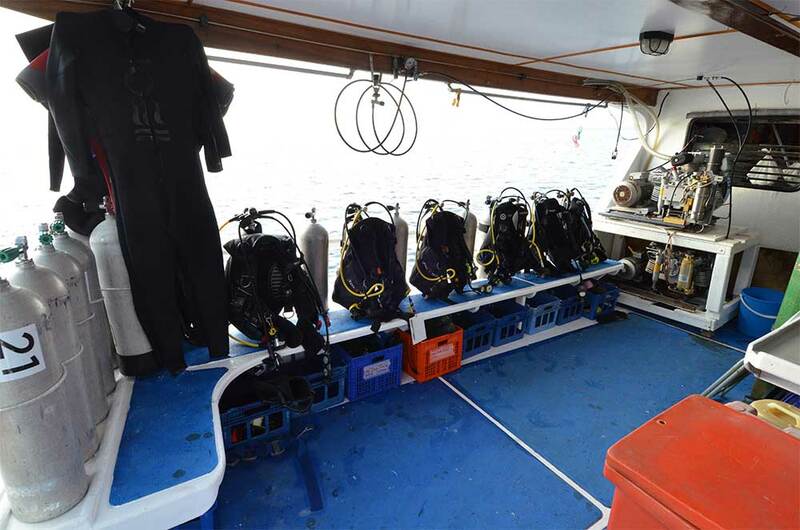 Diving insurance is compulsory aboard Andaman Tritan and travel insurance is recommended.